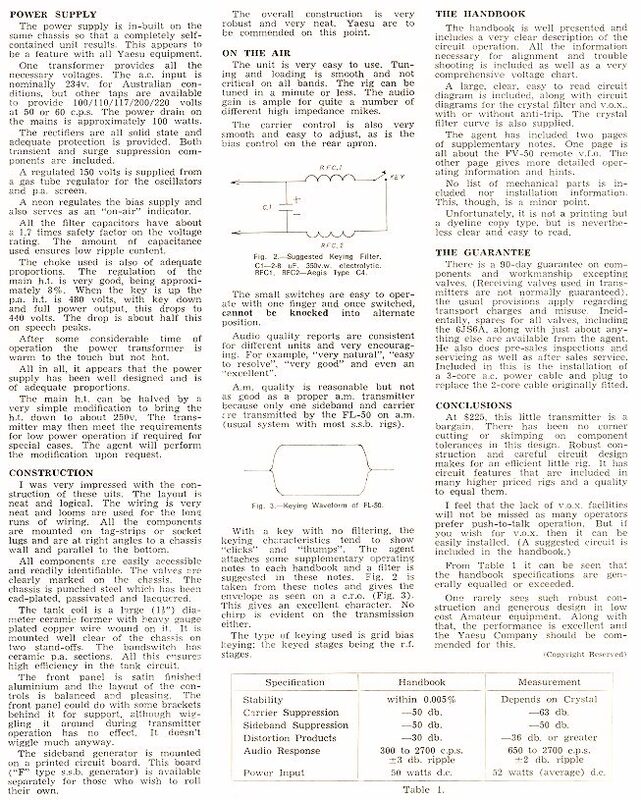 Below is the third of a three page Trade Review on the FL-50 which featured in the October 1968 issue of the Wireless Institute of Australia's Amateur Radio magazine. 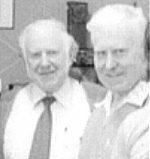 Above is a picture of the later model FR-50B. 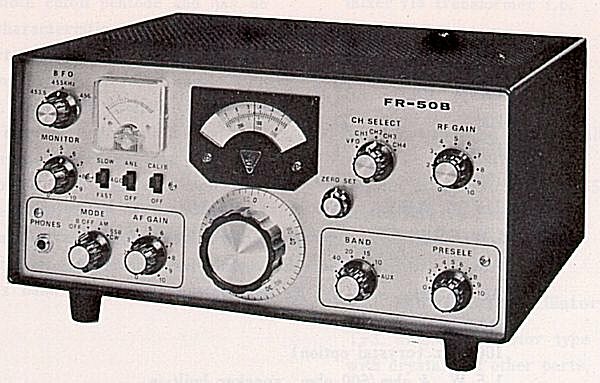 Note that its appearance, and that of the FL-50B, had reverted back to the looks of the earlier F-Line equipment, except that the 50B Series still had their cabinets finished in black.